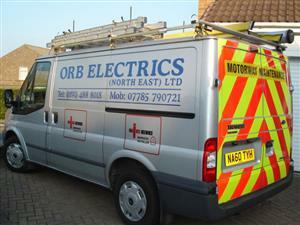 ORB Electrics is a family run, privately owned North East company and was established in 1989 by Michael O’Hara. The company works on a variety of schemes ranging from minor domestic works to large scale electrical installations of industrial and commercial premises. We deliver a quality service to our customers which leads to repeat business. ORB Electrics employs only the most experienced and qualified professionals and has recently invested in apprenticeships for the future. Please view our Services and Clients pages for further information about our business and the facilities we deliver.